This is what our bedroom looked like when we walked through it for the first time. The previous owner is a super nice woman who is also a realtor and knows how to stage a house! Her style was more southwestern than ours so we've made it more our own. The biggest (and most expensive) change we made was enlarging the window. 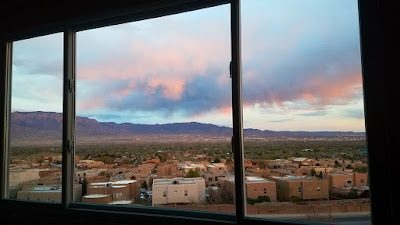 We had two small, crappy windows and now we have a giant beautiful window. We had Renewal by Andersen install a large tinted window and it is amazing. It is so much better quality than our old builder-grade windows at keeping out the dirt, air, noise, and heat! 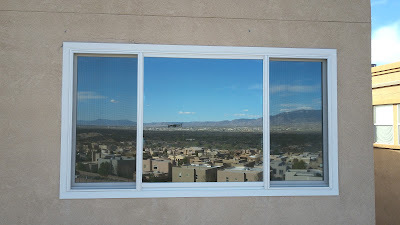 From the outside it looks like a mirror with the tint so it reflects the mountain view and also provides great privacy during the day while our blinds are open. Albert took this picture with his drone and I was standing right by the window! We also had giant blackout roller blinds installed by Budget Blinds. 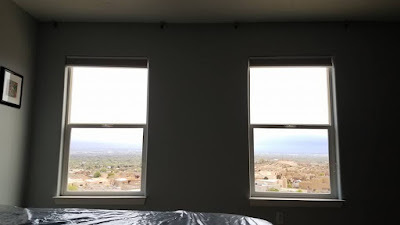 We didn't have any blinds on our big window for a month so we really appreciated them when they were finally hung. There was a little hole in them that they noticed when they installed them. It took awhile but they finally reinstalled a new one that doesn't have any holes. They are hard to pull up because they are so big, but they do the job and keep the room cool and dark. They also make for a great movie screen for our projector! 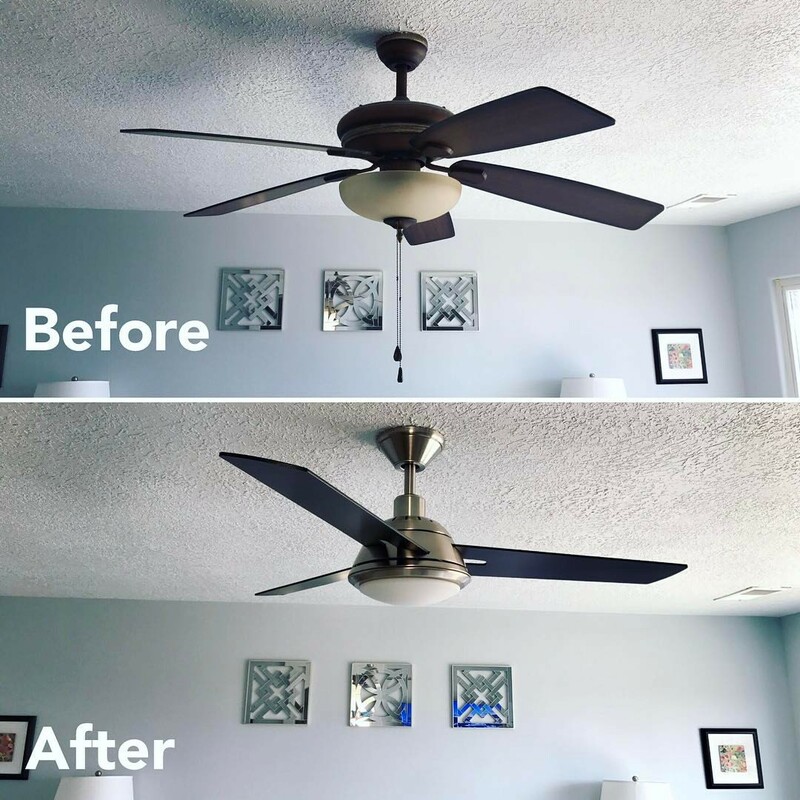 Another update we finally did was putting in a new ceiling fan! The old one did not go with our look and it hung down super low and the kids liked to jump on the bed and hit it. We have these fans in almost every room in the house and I really hate how low they are with our eight foot ceilings. Plus we can control it with a remote, which is nice at night.